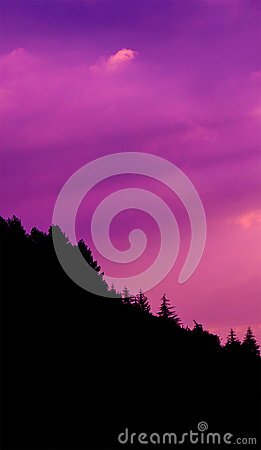 Sunset clouds over the silhouette of pine forest at hill. Peaceful scenery photo. Can be use as cellphone background image.